OLD PARKED CARS. 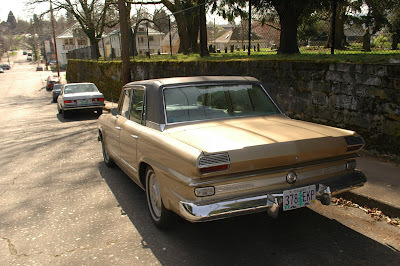 : 1966 Studebaker Cruiser. Wow! A '66 Studebaker! This was the last year of production for Studebaker; only 9,000 total 1966 models were made. Great find! Very much indeed! My grandfather owned a Studebaker dealership for about 25 years in East McKeesport, Pennsylvania, (opened it some time in the 1930s) and stopped selling them in 1963 when the South Bend plant closed. 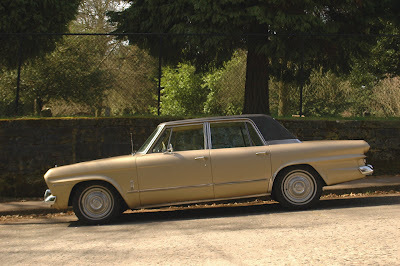 He then sold Chrysler/Plymouths until his death in 1968, and his brothers closed it that year. 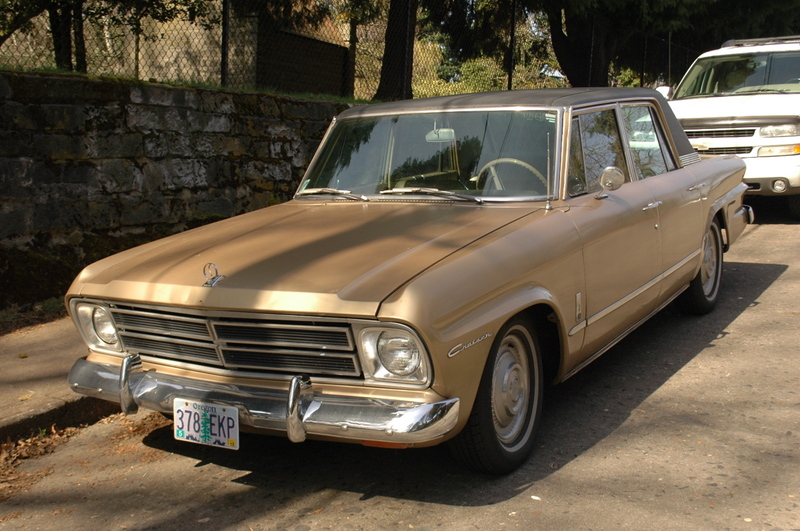 Anyway, this Studebaker would have been built in Canada, and is the descendent of the Lark. Pretty cool! Oddly luxurious. I've always had a soft spot for the Studes- even the 'ugly' Canadians. I often wonder what could have happened if American Motors brought them into the fold. Cruiser? Heck yeah! I'd totally drive that. The color is pure '60s goodness. Wow, golden-glorious. I really dig the lack of small or subtle details. Having trouble figuring out how big this car is, what does it compare to? Gorgeous. The paintjob compliments the lines and that front fascia is great. Chrysler Concorde would be comparable in size, both with 113-inch wheelbases. Trying to find a 1960s model with a comparable wheelbase might be tricky. They were usually longer. In other words, this wasn't a huge car at that time. Dave said: "Ugly Canadians?" It was built in Hamilton, Ontario. It's the prettiest thing to come out of Hamilton aside from Martin Short. And the Chevelle Malibu Series 36 - V-8 was: $2,458. $224 was 3.2% of a $6900 annual income. Most women didn't work and gas cost around $0.32 cents a gallon.